Do you celebrate Valentine’s day, and if so, have you made any plans yet? 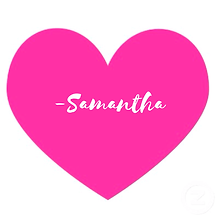 I am a huge fan of Valentine’s day, but over the past couple of years I’ve come to hate actually going out to dinner with Hubby to celebrate. If you’re organized enough to have made a reservation a few months in advance then hooray, you get to eat without waiting hours for a table. But then, you often have a time limit on how long you can have your table, which is ridiculous because service and food take a billion years longer since the restaurant is extra busy, so then you have to rush through your meal instead of taking your time and enjoying the company of your significant other. And if you couldn’t get a reservation then oh boy, be prepared to wait hours for a table! Who has the patience or time to waste in the crowded lobby of a restaurant? Not me. I’d rather stab myself in the eye with a fork. So for the past few years Hubby and I have ordered in, but I’m soooo sick of take out that I can’t even fathom ordering food for us, for Valentine’s Day. Between our Mexico trip and my family being in town, we’ve gone out to eat, or had take-out way too much in the last month. Not healthy at all, and not good for the wallet either! 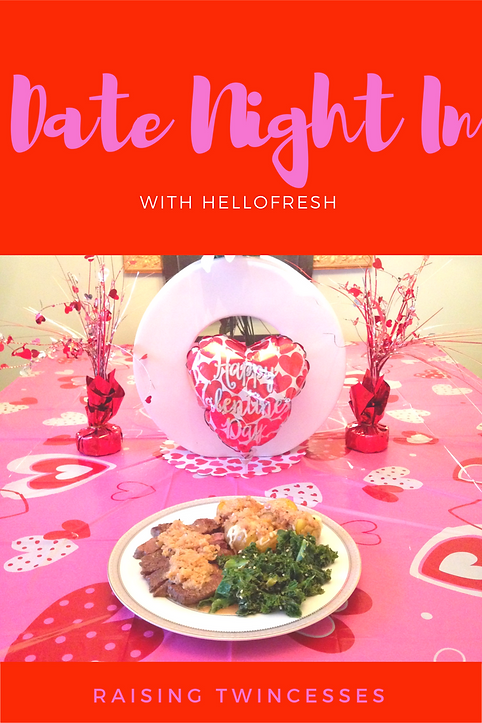 When I learned about HelloFresh I immediately thought that this was the perfect solution for not only the busy days when family is in town, or the kids have a billion activities, but also for the special occasions, like Valentine’s Day. HelloFresh is a flexible meal subscription service, where you get your choice of 3 meals per week for 2-4 people and all of the necessary ingredients and directions to make them, delivered right to your door! The ingredients are fresh and pre-portioned for meals that are quick, easy and delicious! As a busy momma I love that with HelloFresh there is no running to the grocery store, no agonizing over choosing a recipe, no meal planning, and no measuring out ingredients. My favorite part though, is that dinner is on the table in 30 minutes or less #winning! My favorite meal was the Dukkah-Roasted Chicken dish, while Hubby’s was the Steak au Poivre. All 3 meals were honestly so delicious, and I love the fact that they were recipes I’ve never tried before. I would definitely recommend HelloFresh to anyone who is busy, sick of eating out, looking to switch things up when it comes to meal time, or who needs some help in the kitchen! If you’re interested in trying out HelloFresh for yourself use promo code TWINCESSES50 to get 50% off your first box! Also, be sure to head on over to my Instagram where you can enter to win a HelloFresh box free! So what are your Valentine’s plans?